A standard adult guinea pig should weigh between 1.5 and 2.5 pounds and measure between 10 and 14 inches from head to rear. If your pet falls outside of these guidelines or has a sudden major fluctuation in weight, take action for the sake of his health. While it may be cute to look at your pudgy little friend waddling around his enclosure, excessive weight can cause serious damage to your pet's health. Guinea pig bones are delicate and cannot withstand the extra load of obesity. Try reducing the amount of pellets you're feeding or take a closer look at the ingredients in your pet's treats. If you can't find a diet-related reason for the weight gain, consult your veterinarian. 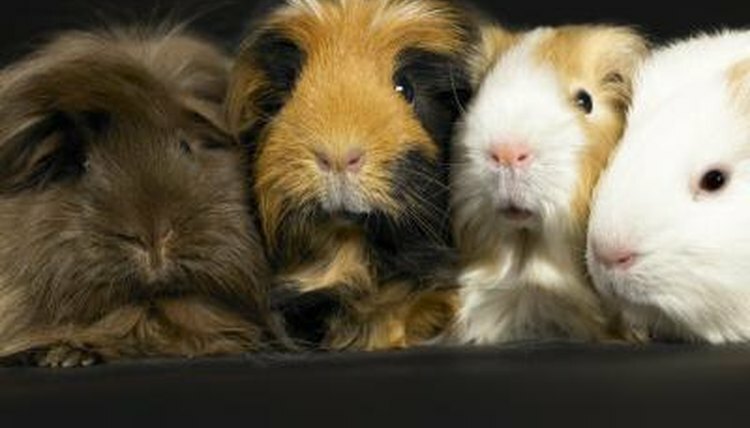 Significant weight loss in a guinea pig is typically indicative of a bigger problem. Your pet could be sick, have a parasite or be suffering from a hereditary condition. If you are feeding your pet a healthy and balanced diet, and he is still underweight, consult a veterinary professional immediately.